A screen shot from a video of a Jaish al Muhajireen wal Ansar training camp in Aleppo, Syria. A jihadist wires a circuit board for a homemade bomb. Jaish al Muhajireen wal Ansar (Army of Emigrants and Supporters, or Muhajireen Army), a group of foreign fighters led by commanders from the Caucasus, has released video of a training camp in Syria. 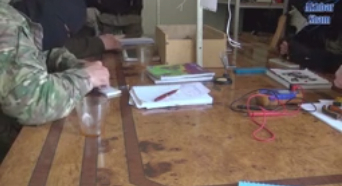 The video includes footage of a bomb-making class. The video, which was published on YouTube on March 31 by Akhbar Sham, a Russian-language website that promotes the Muhajireen Army, shows the group’s fighters training for various attacks against the Syrian military. The video was also promoted by Kavkaz Center, a propaganda arm of the al Qaeda-linked Islamic Caucasus Emirate. In the video, fighters, who are dressed in camouflage uniforms and have their faces covered, are seen shooting automatic assault rifles and machine guns at a range as an instructor issues orders in Russian. The instructor appears to be teaching the fighters to fire as a team, having some of the team members shoot while the others reload in order to have a continuous volume of fire on the target. In another scene, a fighter is given instruction on firing a sniper rifle. Afterwards, an instructor fires live ammunition as a fighter low-crawls through an obstacle course. Another fighter is seen jumping over a wall. 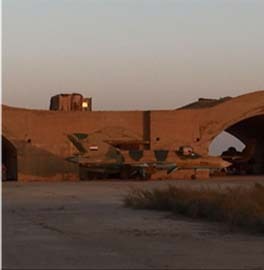 And finally, the video shows fighters in what appears to be a bomb-making facility. Bomb-making supplies and tools, including solderers, circuit boards, electronic components, and what appears to be explosive materials, are seen as the camera pans across the room. The fighters are shown wiring a circuit board. Explosive powder is placed into a small tin can, and then the fighters take small bomb out into a field, set the fuse, bury the bomb, and detonate it. 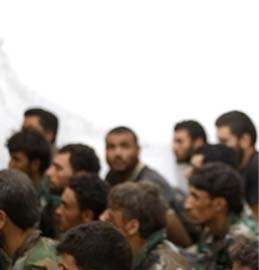 The video of the Muhajireen Army training camp was released just two weeks after the Al Nusrah Front for the People of the Levant, al Qaeda’s branch in Syria, announced that it is running two training camps in Syria. 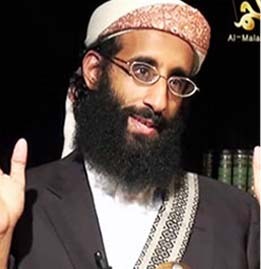 The Ayman al Zawahiri Camp is located in the city of Deir al Zour and is named after al Qaeda’s current emir. The other camp, whose location was not disclosed, is called the Abu Ghadiya Camp and is named after the leader of the al Qaeda in Iraq facilitation network that was based in eastern Syria. 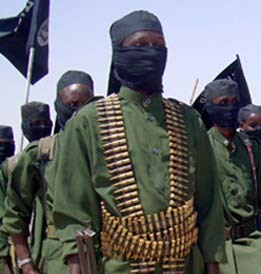 Historically, al Qaeda has used such camps to train fighters to wage local insurgency, selecting some recruits at the camps to conduct attacks in the West. 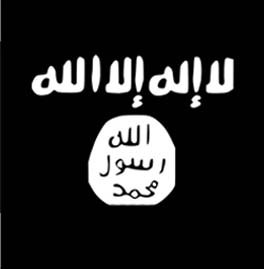 The Muhajireen Army is led by Salahuddin al Shishani, a Chechen. The group is closely allied with the Al Nusrah Front; Ahrar al Sham, another al Qaeda-linked group that is part of the Islamic Front; and the Islamic State of Iraq and the Sham. 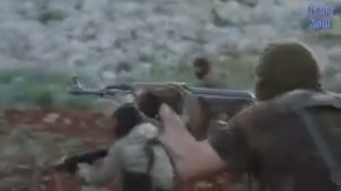 A screen shot from a video of a Jaish al Muhajireen wal Ansar training camp in Aleppo, Syria. 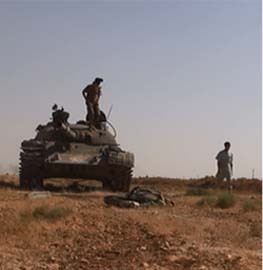 Jihadists practice firing as a team . Does anyone have any reliable numbers of cadres are being trained per month? He also admits fighting alongside Al-Nusra, AQ official branch in Syria. He even admits sharing weapons with A-Nusra if need arises.